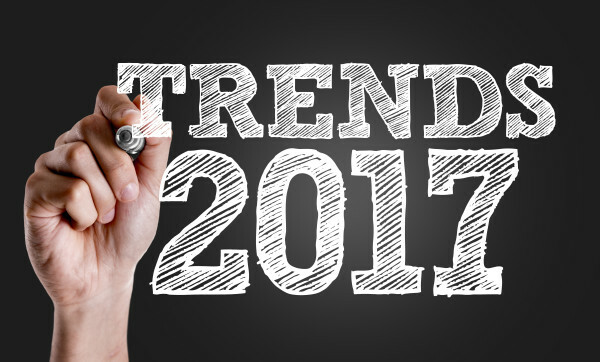 Top ten building trends for 2017! There are plenty of reasons why your home should be your pride and joy, in no small part because it’s your very own space to relax, unwind and enjoy yourself. Being surrounding by a pleasant home must be the ultimate goal when it comes to making changes to your living environment. And it seems that the home design factors above have been some of the main ones being considered so far this year. So, with Spring in full swing and marvellous changes afoot with the weather, what options did you find the most appealing? Here are some of the ideas in more detail. As well as the very popular natural stone surfaces for rooms such as the kitchen (specifically, stunning quartz, which has taken over from granite as the more favoured worktop), natural and recycled materials, such as wood and rattan are popping up in home designs for 2017. It seems that a real focus for the truly stylish and discerning homeowner is not only the theme of nature, but the whole aspect of sustainability and kindness to the environment – something which is gaining pace as the year goes on. In sticking with the natural feel for popular materials in 2017 interior design, Mother Nature is taking a hand with the colour schemes too. So, imagine muted sandy and earthy tones, as well as the beautiful colours of the outdoors that are beginning to surface at this time of year. For people who prefer their style minimalist and chic, another popular trend is monochrome, where dark kitchen cabinets contrast strikingly with white walls. Modern design seems to make massive use of contrast these days in pretty much everything. Another big building trend this year is the concept of open plan living. It has to be said that letting in as much light as you can will certainly help to make your home more appealing, but, by knocking down some interior walls, not only can it maximise the use of space, but many believe having one large area for cooking, dining and relaxing will bring the family closer together. So separate living spaces are out, large living spaces are in. If you are in the process of planning improvements or a refurbishment for your home and would like to talk through your options, then our experienced team of builders can offer a series of full build and design suggestions. This will ensure that, from the planning and design bits at the beginning, right through to the finishing touches at the end, you’ll stay up to date with everything that is happening to your home and can feel reassured that it’s going to look great in the end. At Marlow we can project manage everything regarding the changes and improvements that you want to make to your Leicestershire home, so, if you’re looking to update your property, get in touch with us today. This entry was posted in News on March 28, 2017 by Lindsay Marlow.